Sales Executive Jobs in Dubai. Dubai is rapidly becoming one of the most desirable places to find employment. With its luxurious lifestyle, breadth of amenities and high quality of life, the United Arab Emirates are becoming a destination of choice among job hunters, and Dubai has plenty of employment opportunities on offer. One of the main areas where it is possible to secure a position is in sales, and there are lots of sales executive jobs in Dubai which can be accessed by anyone with relevant experience and qualifications. Anyone interested in applying for sales executive jobs in Dubai can find roles in a wide variety of industries. Of course tourism and hospitality are on the rise, and sales executive positions within this field are easily found. Hotels are often looking for sales executives to work in their accounts departments, while catering sales managers are often in high demand. Executives to work in event and conference selling roles are also sought after, often by some of the leading names in the global hospitality industry, such as Hyatt and Hilton. Thanks to the rise of luxury shopping in Dubai, there are also plenty of sales executive roles in shopping centers such as the Dubai Mall. Real estate is a lucrative industry in Dubai, so as you would expect, a talented sales executive can easily find work in this employment sector, but there are also countless other sales opportunities available to the right candidates. In general, many of the sales executive positions on offer in Dubai are concentrated in the luxury goods fields, in property or in entertainment, however there are sometimes sales vacancies open in the industrial sectors like manufacturing or engineering. One of the main requirements to gain employment as a sales executive in Dubai is good communication and language skills. The ability to speak more than one language is an advantage, and usually a basic grasp of Arabic is preferred, although every company has its own language requirements. While a good standard of education is important, perhaps most important of all is the need to have solid experience in a similar role. Candidates should certainly have previous experience in a sales field, and preferably in a similar industry to the vacancy that they are applying for. For example, anyone wishing to apply for a position as a real estate sales executive should already have a minimum of one year's experience in property sales before submitting an application. A driving license is also often an advantage in a sales role. Where Can Sales Executive Jobs In Dubai Be Found? The internet is the best option for anyone looking for a sales executive position in Dubai. There are countless websites that list vacancies in all types of industries, and many allow you to apply for the position online, or provide an email address to which you can forward your CV. 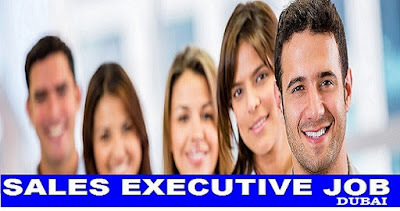 There are also some recruitment agencies that specialize in finding sales executive staff for companies all over Dubai. Sending your CV to one of these agencies is a good way of gaining access to a large number of sales positions and widening your horizons. What Else Do I Need To Know About Sales Executive Roles In Dubai? In Dubai, job advertisements are permitted to be quite specific about what they are looking for from the right candidate. For example, employers are allowed to state if they are looking for a male or female staff member, and can even request an age limit. They are also allowed to request particular nationalities or specific language skills. Make sure to read any advert for a sales executive position carefully to ensure you meet all the essential criteria before applying, otherwise you will be wasting your time.